The Role Of Financial Planners And What They Can Do For You? Financial planners have an extremely crucial role. They are qualified professionals who help people to identify their short term and long term goals, and more importantly they help them to reach them. They do this by analyzing the current financial state of the client. They will set up a tailor made plan to help their client reach their objectives. This can include anything from investment, to retirement planning, to tax planning, to risk management, to estate planning, and much more. Financial planning is something all individuals need to embark on if they want to minimize risk and maximize gains. Whilst it is true that financial planners are there to help you achieve your goals, you cannot expect them to one hundred per cent deliver them. Why? Well, a lot of clients have unrealistic aims. They want to achieve ‘x’ amount by next year. They want to invest in something that is way out of their reach at the moment. Rather, a financial planner can give you a realistic depiction regarding your objectives. They may tell you that you cannot achieve ‘x’ amount by next year, but if you do ‘y’ and ‘z’ then you may be able to within a scale of three to four years. They may also help you to identify your goals as well. A lot of people come to financial planners with absolutely no knowledge regarding finance at all. There is nothing wrong with this. A financial adviser will tell you what you need to do in order to protect your assets and maximize your gains. They can then present you with recommended ideas regarding investment and alike. It is of course up to you whether you want to cement these as a long term goal or not. Anyone can say they are a ‘financial planner’ but you need someone with the qualifications and certificates to back it up. If you are looking online then this information should be readily available. Don’t be afraid to ask for it either. If the company / individual has nothing to hide then they won’t mind showing you. When you are assessing a particular adviser you should make sure you read reviews that have been left by previous clients. What have they had to say about the service they received? Did the financial planner help them to achieve their goals? Were they easy to deal with? Previous customers will give you an honest assessment and tell you what you really want to know. 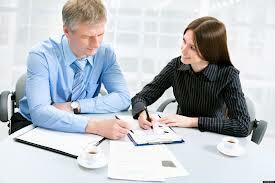 Last but not least, it is important to make sure you opt for independent financial planners. After all, you can be certain that their opinion is going to be 100 per cent unbiased and thus you will be getting the best help. Others may sell you particular investments just so that they can make commission. The professionals at Taylor Brunswick tick all of the points mentioned. You will gain the help of experienced, industry driven and independent professionals. This is the perfect starting point for your financial planning.